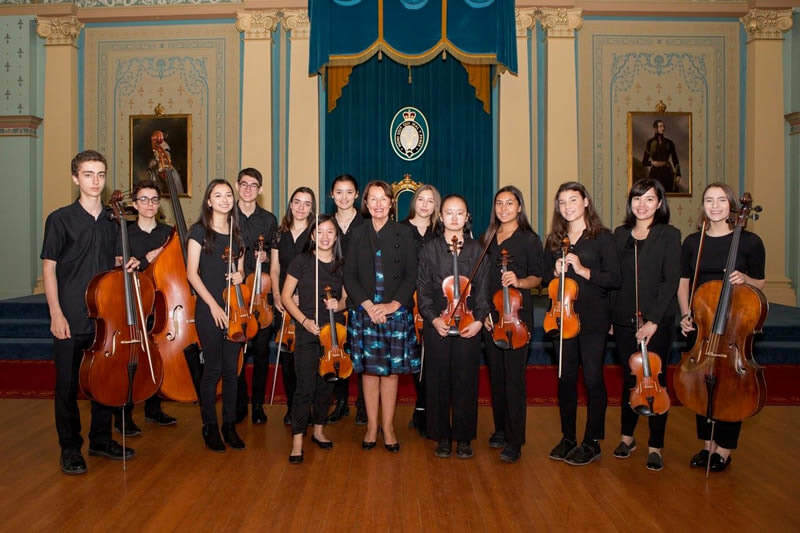 On Monday our senior string ensemble, Palm Court Strings, was invited to play at Government House for the ceremony to welcome international students to Victoria. The students played beautifully outside the ballroom, on the verandah. What a wonderful experience for these young musicians, one that may be repeated if the organiser at Government House has his way – he would like to have us back to play at more events there! Thanks to our new violin/viola teacher Angela Huang for directing this ensemble. Palm Court Strings with Judith Grayley, Parliamentary Secretary for Education.